Oh sweet, Gideon Gunner. 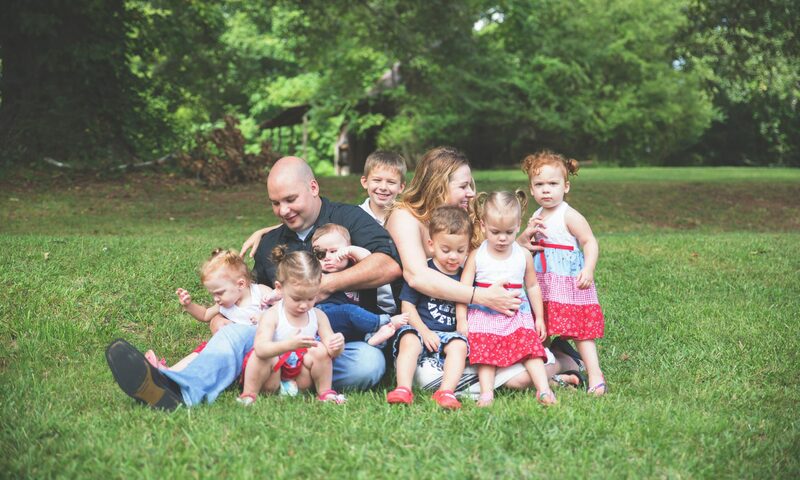 We thought our family was complete after the quintuplets. Dad had a vasectomy scheduled. 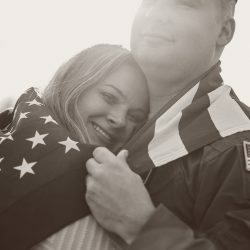 I was on birth control, breastfeeding quintuplets, we were moving for the 2nd time in a year, and we had struggled with years of unexplained infertility previously. I went in to have a lithotripsy surgery for kidney stones but we found out about our surprise blessing. We were terrified! After all who, has 11 month old quintuplets, a big brother, and ends up expecting another blessing after so many barriers. Yes, we won the baby lotto again! We always say you were meant to be here. We truly feel honored to be your parents and watch you grow. Gideon Gunner was born at 11:10am and weighed 9 lbs 6 oz. We had to have a repeat csection. I really wanted a VBAC. However, I had an upside down T incision so they could deliver all of the quints in under 2 mins and 30 seconds of the first incision for the best outcome. Also, with it being so close to the last csection and a few other issues it was safest for you to be a csection baby. We had a gentle csection, did immediate skin to skin, and I breastfed you in the OR. I had a few complications with extremely low blood pressure so we had to stay in recovery for 4+ hours. It all worked out though. Daddy stayed until we were settled into our room. We became extremely close since I stayed alone at the hospital as Daddy went home to take care of the crew. You literally nursed and did to skin to skin our entire hospital stay! I think this has been part of the reason you are still a big Mommy’s boy! Having a baby brother, definitely matured everybody in the house. The quints quickly wanted to help with baby and were very concerned every time he cried. They were naturally somewhat gentle with him for being 20 month olds. As Gideon grew, his thinking began to change. In Gideon’s mind, he is the same as them and made them into sextuplets. The quints are very quick to remind him he is a baby and is definitely not as sophisticated as them. They are still very concerned with him and are his little Mommy and Daddy helpers. They will easily tell him what he is allowed and not allowed to do. He normally just fusses (or now says, “no”) and does what he wants. Gideon now outweighs all of the girl’s at 15 months! He is a tank! Gideon is always laughing or smiling. He is a very easy going baby and is just happy to be here. He loves learning about everything life has to offer. Gideon loves to hold his own though and is not intimated by anybody. He is reaching milestones at a quick pace. He watches them and is learning constantly. He was walking at 8 months and running by 9 months. He had 8 teeth at a year and can jump. His favorite words to use are, “no”, “oh no”, and “DaDa”. Gideon has been nicknamed, “GG”, and “Baby G” since we first found out about him. We knew we would follow our alphabet theme but never announce names until the baby is born. So it worked and the names just stuck. I almost melted walking 1.5 miles from our house to Michael’s shop for his award ceremony in 100 degree + AZ heat with all this baby weight lol. Nobody even realized I had 1 month old Gideon with until halfway through the ceremony. Gideon loves traveling and doing fun things with the quints. We go all over the place! He even had traveled to 11 states before he was 3 months old! When he does not go on a daily adventure with us, he gets sad. He gives a huge pouty lip. It is cute but I hate it too since he has a happy demeanor usually. What better way is there to celebrate turning one year old than with a Mardi Gras Party? With a February birthday, Dad being away for 10 months, and you being the party guy…I knew it was perfect! Gideon loves to eat EVERYTHING! I have yet to find anything Gideon does not like to eat besides homemade purees. Just give him the real food and he is happy. Gideon loves his “milkies”! I always teased that he got cream since my body did not know what to do with feeding only one baby again. Gideon is 100% traditional boy in all he does. He loves to be active, competitive, is strong willed, determined, aggressive at times, kindhearted at other times, sports, being outside, doing what the big kids do, and getting dirty. Gideon has dirty blonde hair and tons of curls! His wild hair matches his personality perfectly. He is very mischievous. He knows it too but will give a cute smile and giggle to get out of trouble. He pauses when he hears, “no”, but will keep doing what he wants. If there is something naughty happening, Gideon is involved. Guaranteed! In addition, he is a huge flirt with everybody that he meets. His smile, fun personality, and intelligence draws people to him. This is a dangerous combination. We may have trouble ahead with this not-so-little one in the future. After all, being the baby, of this type of family, is a hard role sometimes but somebody has to do it. Previous PostPrevious All about Felicity Fiona! 3 Year old personality update!